for spent cooking oil collection & grease trap service! We love our community and are committed to being there for you! 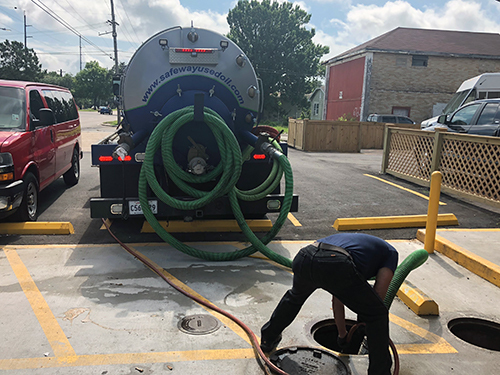 For two decades, Safeway Used Oil and Grease has been a trusted provider of grease trap and oil cleaning services to the greater New Orleans region. We serve restaurants, residences and other hospitality industry partners with high-quality grease trap cleaning, oil recycling and more. Contact us today for information about our services. 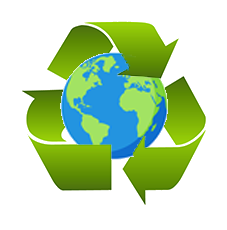 We are an EPA-licensed service provider and offer environmentally conscious services that benefit our customers and the earth. Our technicians offer emergency grease trap cleaning services, helping you mitigate expensive repair costs and avoid messy situations. We’re a proud, family-owned and -operated business with customer-centric values and a keen dedication to customer service. Our teams provide full-service grease trap cleaning and oil disposal at each service appointment. We offer high-quality services at competitive prices. We promise you’ll get your money’s worth when you choose us. Safeway Used Oil and Grease is a full-service company specializing in grease trap cleaning in New Orleans, LA. We provide a wide range of grease and oil-related services to our clients. Our technicians are capable of servicing both commercial and residential grease and oil traps and for more than 20 years, we have been providing dependable grease and oil disposal. We take pride in our ability to provide customers with ecologically conscious means of disposal for used grease and oil, helping you maintain the highest standards for your business, even when it comes to waste. Our family-owned and -operated business is regarded throughout the region thanks to our attention to detail and friendly service. If you’re looking for routine, dependable grease trap service in New Orleans, LA, look no further than our company. We approach every job with a mind for thoroughness, safety and quickness, providing a gold standard of service no matter the task at hand. In addition to grease trap cleaning services, our company assists with the disposal of used petroleum products. We pick up spent motor oil and other petroleum by-products and deliver them to a local refinery that recycles them into usable goods! We even offer cooking oil recycling services and grease bin sanitation. When you have oil and grease disposal and cleaning needs, turn to the company that takes a responsible, forward-thinking approach to handling them: Safeway Used Oil and Grease. Keep your restaurant safe, clean and in regulatory compliance by scheduling a grease trap cleaning appointment today. Our technicians are standing by. & all other surrounding areas!